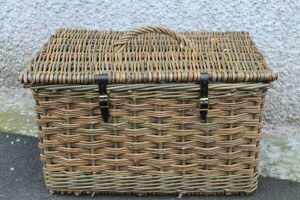 We use a variety of willow called Black Maul (Salix Triandra) which is perfect for making baskets. Treated in different ways four natural colours can be produced. To create buff willow, we take willow with bark on, boil it for about 10 hours to soften the bark, then strip off the bark. It’s the strongest of all the 4 colours and so perfect for making everyday hardworking baskets that will stand the test of time and man! White willow is also stripped, but it’s not boiled. The willow is harvested in the winter, as usual, then stood in a tank of water until spring when the sap rises and new shoots start to appear. At this time, whilst the bark is still soft, it’s taken out of the tank and the bark stripped. It’s pretty much as strong as buff and traditionally was used for washing, linen and Moses baskets at a time when the only alternative was willow with bark on which was rough and therefore not suitable for such baskets. (buff willow is a relatively new ‘invention’). It’s a little more expensive than buff willow because the process takes more time and also because there’s a limited supply each year. Green willow is the term used for any willow when freshly cut. It means it can be worked without soaking. Once dry it’s known as Brown Willow, however we tend to use the term ‘green’ willow in either case, as it describes its colour. It has bark on and there’s a natural variation in the green/brown tones. 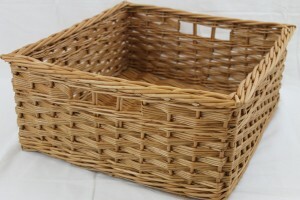 It’s not as strong as buff or white, but is fine for baskets not having to work very hard. Otherwise green willow can be used in combination with buff or white willow. 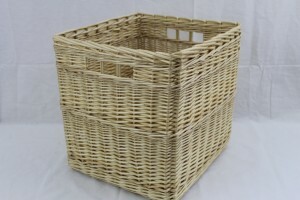 The above basket is made entirely from ‘green’ willow and shows the natural variations in colour. Below the base, uprights and border are made from buff willow to give a rigid hard-wearing structure and green willow used for the weave. 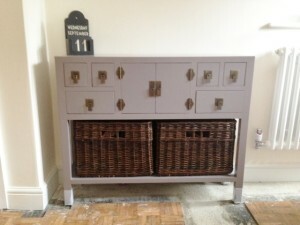 Steamed willow gets its name from the process used to achieve it. Dried (brown) willow is put into boiling water for a couple of hours. The bark is left on but the process of ‘steaming’ turns it very dark brown, almost black. 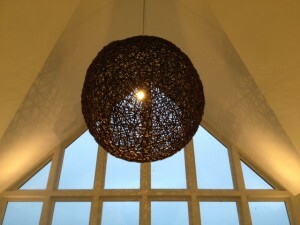 We make a lot of lampshades from steamed willow, but it’s not the best willow for making baskets as the bark tends to split on sharp turns (on borders & finger holes). 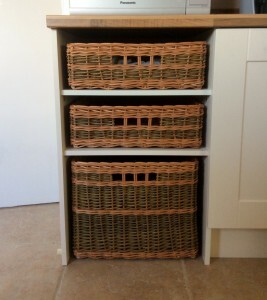 Some people love it and consider the splits as adding character to the baskets. 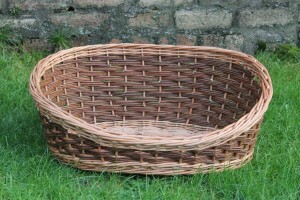 It contrasts beautifully with buff willow and we make many baskets in buff and steamed willow. Buff willow for the base, uprights and border and steamed for the weave.